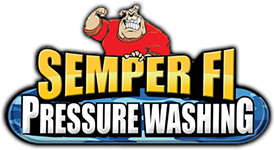 Semper Fi Pressure Washing provides a variety of pressure cleaning services. 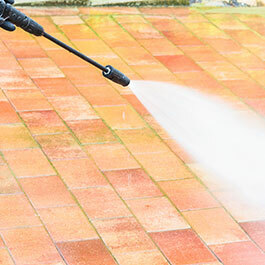 Rely on our skilled team for residential and commercial pressure washing services. Our qualified teams are certified techs by SealnLock. Our experts seal anything from brick to natural stone. 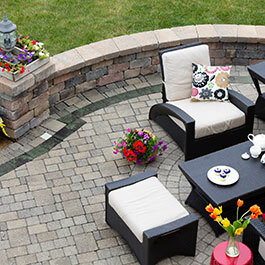 Contact us to learn more about our paver sealing services. Never let anyone use pressurized cleaning equipment to clean your roof. Non-pressure roof cleaning from Semper Fi Pressure Washing ensures that your roof is mold and mildew free, while remaining free from damage. Count on Semper Fi Pressure Washing of Central, Florida, for all of your pressure washing services. We respond to calls within the same day, and we never charge you for an estimate whether it's in person or on the phone. Our top-of-the-line equipment is well maintained and able to handle all the tasks we need it to. Semper Fi Pressure Washing is self-contained—we have a 500-gallon tank on our trucks. We have a drug-free workplace, and are workman's compensation compliant. Our staff is always punctual and courteous. We have full liability and workers compensation and we are bonded. Request a service from Semper Fi Pressure Washing, your local provider of pressure washing services in Central, Florida. We appreciate your interest in our company and look forward to working with you. For specific information about any of our services, please fill out the form. Be sure to indicate your callback preferences, as well as the service you are interested in. A confirmation will appear after you click "Submit." We will get back to you as soon as possible.